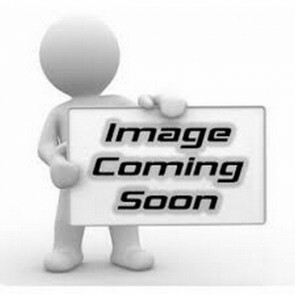 HOW DOES AN OIL CATCH CAN WORK & WHY THEY ARE A GREAT VALUE! 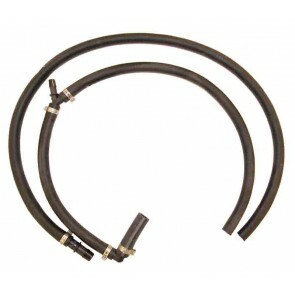 On all internal combustion engines crankcase blow-by pressure creates harmful oil vapors that are recirculated through the factory PVC system and back into the intake system. 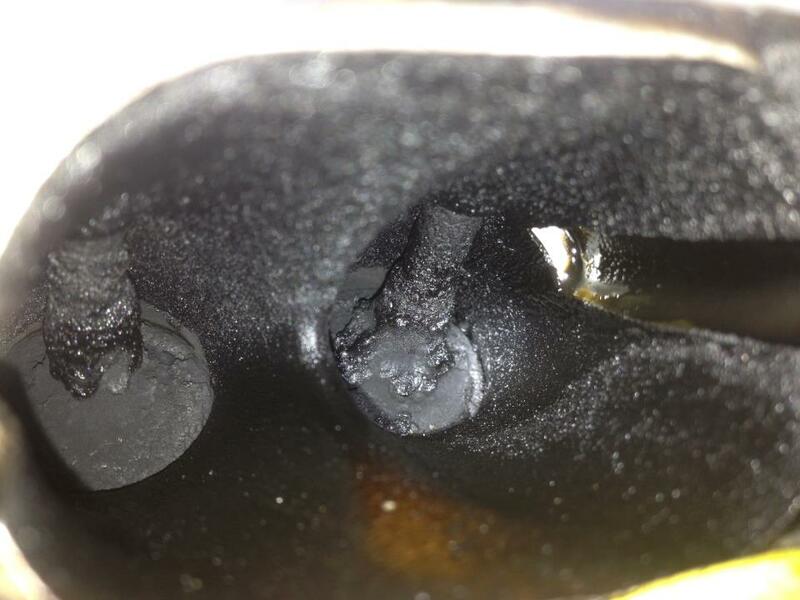 Over time the oil droplets in these crankcase vapors separate out and build up on the inside the turbocharger, intake manifold, intercooler, intake system sensors, piping and intake valves. 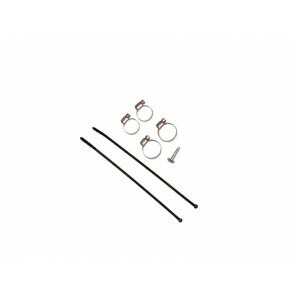 A M7 Speed Oil Catch Can Kit will prevent most of this from happening while its sleek design & finish will add a touch of style, POP & WOW to your engine bay. An oil catch can is a great insurance policy. 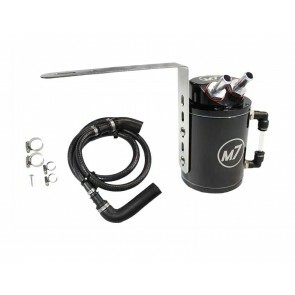 By capturing excess oil vapor droplets before they enter the intake system, the M7 Oil Catch Can Kit ensures that oil film and sludge will not become a factor in your vehicle's performance. 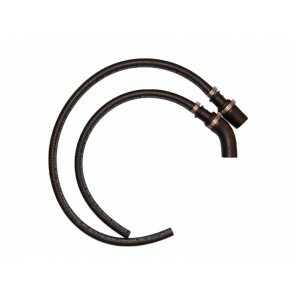 It will prevent oil from getting into pressurized turbo plumbing, which can lead to couplers coming off under boost. 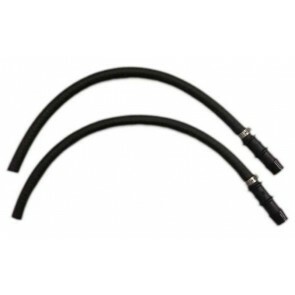 Engine management sensors will stay cleaner sending more accurate signals to you engine’s computer. 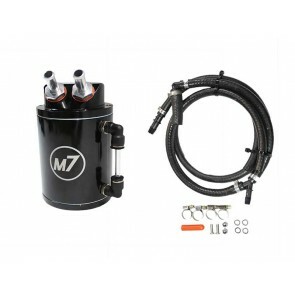 Oil vapors in the intake system lower combustion temperatures and reduce overall efficiency of the intercooler system. Direct injection engines suffer from carbon build-up caused by the uncaptured oil droplets burning onto the intake valves. 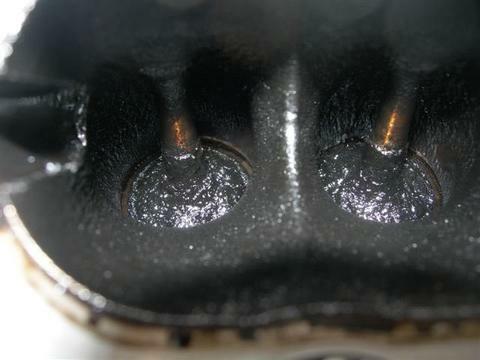 As the carbon cakes onto the valves it restricts airflow and kills performance. Over the long term this carbon build up results in an expensive de-carb service to restore you cars performance. 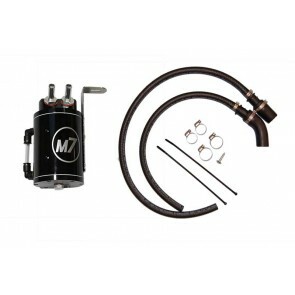 A M7 Oil Catch Can Kit will solve all these problems and give you the added security knowing that your performance is protected from harmful oil vapors and oil build-up. 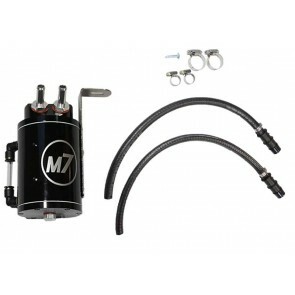 All application specific M7 Speed Oil Catch Can Kits come with our exclusive "Exact-Fit" pre-assembled hose kit, a custom designed fit-specific bracket and all the necessary hardware making installation super-easy for any skill level.